We all know it can be challenging to educate youngsters in innovative ways that don’t run the risk of their minds wandering. Science and maths can be particularly intimidating subjects for a lot of people as they are often seen as technical and boring. However, they also have the potential to be fascinating, fun and inject a sense of creativity and inquisitiveness into students. Therefore, if you are looking for inspiration on how to feed your pupils’ minds this year, how about taking advantage of British Science Week (BSW). BSW is a national celebration of science, technology, engineering and maths, featuring events and activities across the UK. It is run by the British Science Association (BSA) and will take place from March 10 to 19. There will be a variety of flagship events happening all over the country during the week as well as activities in schools from all corners of the UK. Last year, thousands of events took place, engaging more than 1.6 million people. Schools and families are an extremely important part of BSW and there are plenty of ways you can get involved. Now in its third year, Demo Day is an annual campaign during BSW that aims to inspire school teachers and technicians to explore new concepts, provoke discussions and generate excitement through running science demonstrations. This year it will take place on Thursday, March 16, and for the first time will also include primary schools. Teachers who are planning to run a demonstration on Demo Day can pledge their involvement. The pledges will be added to an interactive map which will display all participants from schools across the UK. Last year saw more than 100,000 individuals involved, and we hope this number will continue to grow. Not sure what demo to do? Our website has a plethora of resources available to both those experienced and new to running demos, with videos and step-by-step guides from several partner organisations. In our Demo Insights resource you can also find tips, stories and thoughts from professional science communicators, ranging from presenters, writers and lecturers to magicians and film-makers. The great thing about Demo Day is that it is not just for science teachers. Demo Day is a great opportunity for teachers of all subjects to showcase the science in their discipline. 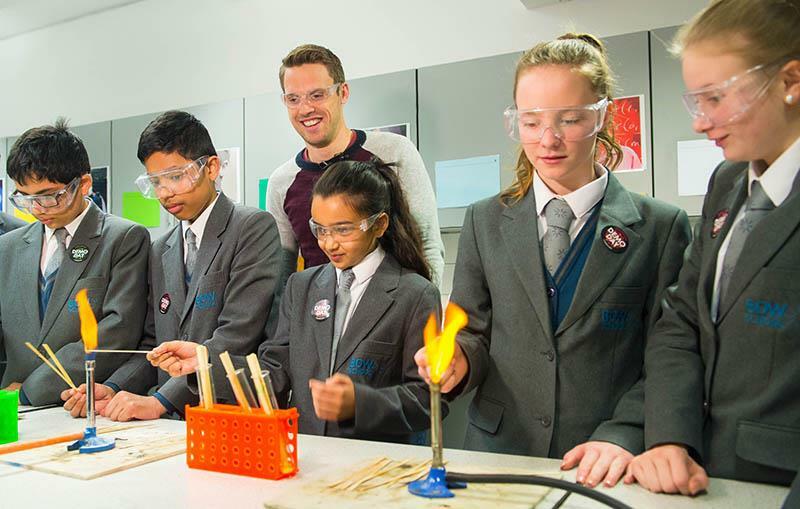 For example, physical education, food technology and geography educators are also encouraged to get involved in Demo Day and highlight the cross-curricular relationship between science and other subjects, to celebrate its diverse range of applications. The Royal Institution (Ri) has a brilliant range of ExpeRimental videos that bring simple science to life using only household materials. For the more confident demonstrator, check out the Royal Society of Chemistry’s resources. Or alternatively, flick through the Institute of Chemical Engineer’s top 10 flash-bang demos, with enticing experiments such as Flying Cake Cases, Flaming Hands, and Vacuum Bazooka to try. Struggling to find demos that convey the vastness of space? The Institute of Physics has created a series of television programmes that aim to support the teaching of astronomy and space through practical activities. The BSA provides free activity packs with ideas that you can take on in your classroom or at home, with information about what you will need and how to extend the activities if you would like to take them further. The theme of this year’s British Science Week is “Change”, encouraging young people to think about and investigate the changes happening in the world all around us, from seasons and climate, to materials and energy. It is also a chance for young people to consider the changes they can enact to have a positive impact on the future. Why not start by downloading an activity pack and looking through all the engaging activities that you and your students can take part in? This year we have linked up with several partners such as the Roald Dahl Literary Estates with some fantastic experiments inspired by George’s Marvellous Medicine. Other activities are featured from the Royal Meteorological Society, Food Teacher’s Centre, BBC Scientific Terrific and many more. You can also delve into the archives and look back at resources from previous years in our library of resources that can be found on the BSW website. Pupils can also enter the annual poster competition and be in with a chance of winning an array of prizes, including science and art activities. The theme of this year’s competition is also “Change”, to link in with the activity packs. Students are asked to investigate or imagine the different types of changes occurring in science and the natural world around them. Posters will be judged on how creative and well-researched the ideas are and how well the poster has been made or drawn. By getting pupils involved with subjects in an active, exciting way, it feeds their learning and curiosity. Linking science to the real-world through demonstration is an extremely effective way of reinforcing learning and giving pupils a sense of importance in what they are being taught. BSW is a perfect platform for giving a new edge to your students’ learning and making them feel a part of something bigger. Amelia Perry is education officer with the British Science Association.